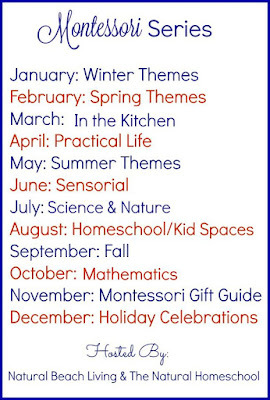 We’ve been learning about polar animals for the past week, and Mavi and Vito have the same question that kept popping up during the course of our learning: why are these animals like the polar bears and penguin don’t get cold in the ice? Well, to answer the question we did a simple experiment on what makes these animals warm in the polar regions. 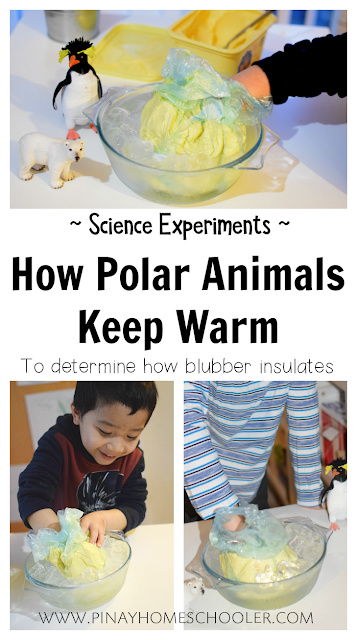 The experiment aims to determine how blubber insulates or keeps the animals warm in the polar regions. In a large bowl, prepare a mix of ice and water. Make sure that there’s plenty of ice in the water to make it really cold. To prepare the animals’ undercoat, cover one hand with a plastic. Place a large amount of butter in the wrapped plastic hand, this way, the hand doesn’t get into the butter. I bought 1 kg of butter for the boys and these were enough to cover their hands. Sealed the butter with another plastic wrap or Ziploc. Dip the hand with the butter in the bowl of ice/water and start your timer. Record the time on how long the hand can withstand the cold. Next, dip the child’s other hand (bare hand) in the ice cold water and record the time on how long the hand can withstand the cold. Both of the boys did this activity and with a timer, we compared the results. The result showed that the hand without the butter can’t withstand the ice cold water. The plastic bag represents the skin of some animals in the polar regions like penguins, polar bears and seals. The butter represents the layer of the blubber beneath that skin and the hand represents the animals’ inner body. While these animals have feathers and skin, they need extra insulation from the frigid cold environment in the polar regions. This extra protection is provided by a thick layer of fat called blubber, which is located under the animals’ skin. The blubber limits the movement of heat away from the warm inner body of the animals to the freezing air or icy ground outside its body. In the experiment, the hand feels cold when “heat” is removed from your body by the ice cube. The butter insulated the hand from the ice cold water, so the hand with butter on it lost less heat and felt warmer. 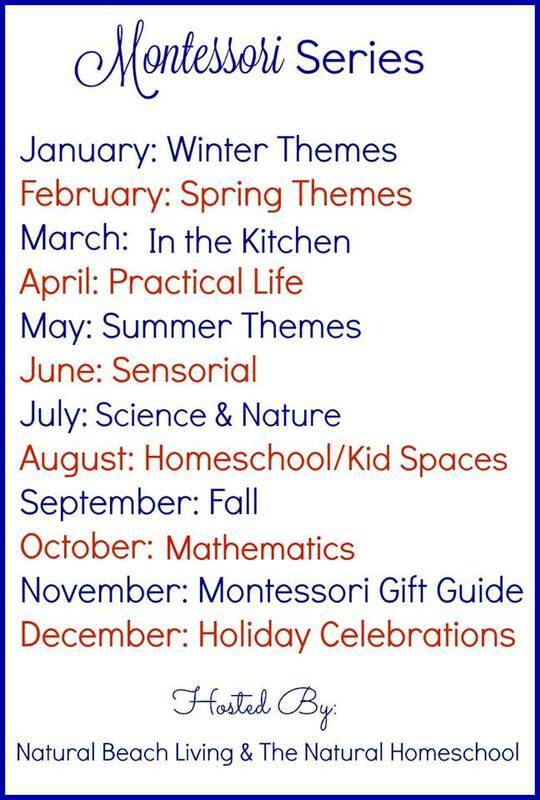 This post is part of the 12 Months Montessori Series which is hosted by Natural Beach Living and The Natural Homeschool.